First take a screenshot of your ThingLink image. I suggest doing this with one of the tags open so that viewers get the idea of what your interactive image has to offer. Then insert this image into your email and link it to the live image. The screenshot will draw them in, and the interactive image or video on your landing page will keep them there! I also recommend including instructions for recipients. 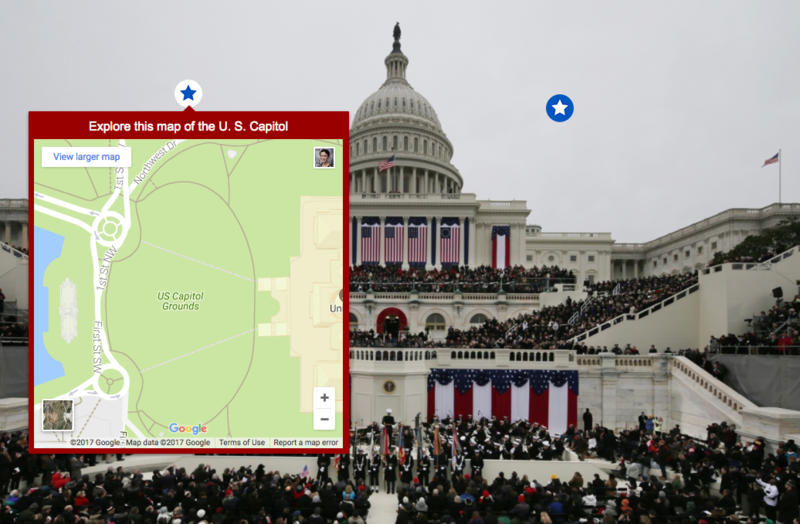 For example, "Click the image below to explore an interactive image about the U.S. Capital building". On the other end of the equation, use ThingLink to drive customers to your email list. With the MailChimp rich media tag, viewers can sign up for your list right from an image. You’ve already got their attention with your interactive graphic, take that opportunity and convert them into a lead! Want to learn more about using ThingLink in your email and other marketing campaigns? Schedule a 20 minute demo with a ThingLink Expert. Sign up for an account to get started today.